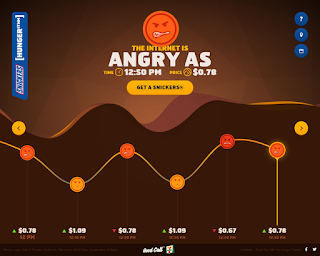 I love this example from Snickers in Australia, which coincidentally uses two of my trends for this year, sentiment analysis and dynamic pricing. 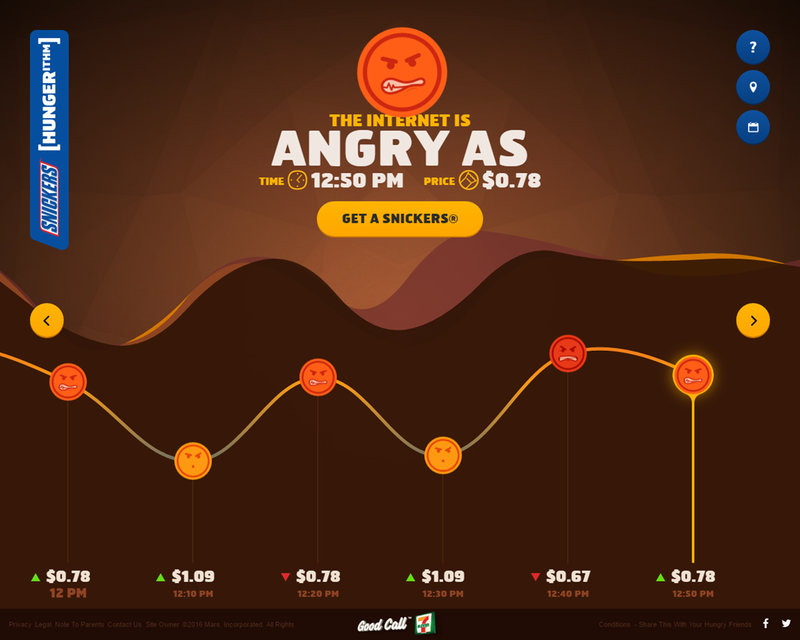 The Snickers HUNGERithmithm analyses the sentiment of Twitter in Australia, and the more unhappy the mood becomes, the cheaper Snickers bars get at 7/11 stores. Users just have to click on the button on the Hungerithm page of the Australian website, which then prints a money off coupon for a bar.